All of these cases touched on the issue of imposing liability (clauses 1 and 2 of Article 129.6 of the Russian Federation Tax Code) for late filing of notices of participation in foreign entities and CFC notices with the tax authorities. In all of these cases the court took the tax authorities’ side (only in one case did the court find mitigating circumstances allowing it to reduce the fine the taxpayer was charged). A Russian corporate taxpayer’s failure to use the forms (or formats) for filing notices of participation in foreign entities qualifies as a failure to file the notice on time; violations include, inter alia, the corporate taxpayer sending the notice of participation in foreign entities not in electronic form (i.e., sending a paper form) and not over a telecommunications network. The CFC notice should be filed no later than March 20 of the year following the calendar year which in turn follows the calendar year in which the end of the foreign entity’s fiscal year falls (for example, the CFC notice should be filed no later than March 20, 2017 for a CFC fiscal year ending on December 31, 2015). The duty to file CFC notices with the tax authority does not depend on the CFC’s financial result in a specific fiscal year (e.g., on the CFC having a loss rather than a profit). The exemption from the liability stipulated by Article 129.6(1) of the Tax Code on the basis of Article 25.14(1)(2) of the Tax Code (if the taxpayer files a CFC notice with the tax authority in response to a tax authority request it was sent to file the notice, if the tax authority possesses information that the taxpayer controls a foreign entity or foreign non-corporate structure) applies only if the taxpayer is deemed as controlling the CFC on the grounds provided for by Article 25.13(2)(2) of the Tax Code. In other cases (in particular, if the taxpayer has a more than 25 percent participatory interest in the foreign entity), this exemption from liability does not apply. The circumstance mitigating tax liability must have a causal relationship with the offense itself, that is, affect the objective and subjective side of the wrongful act, be insurmountable, not depend on the will of the guilty person and prevent him from preventing the offense or its consequences. There being no financial consequences for the budget is irrelevant for qualifying the taxpayer’s inaction as an offense under Article 129.6(1) of the Tax Code. This is because the sanction contemplated by that provision is directed against actions (inaction) of taxpayers that cause organizational damage, since the tax authorities are not able to fully carry out their control functions as a result of their commission. Proper performance by the taxpayer of the duties prescribed by tax laws is a matter of standard taxpayer conduct, therefore the taxpayer discovering the errors itself and filing an amended CFC notice cannot be considered a mitigating circumstance. A taxpayer being charged the maximum fine set by Article 129.6(1) of the Tax Code (RUB 100,000 per foreign entity for which the CFC notice was not filed within the time set by Article 25.14(2) of the Tax Code) does not give reason to assert that the tax sanction is incommensurate to the tax offense. The fact that the taxpayer engages in socially meaningful activity (provides sponsorship) is also not considered a circumstance mitigating liability because the state currently uses other methods of incentivizing such activity, e.g., providing tax and customs incentives and providing state services on favorable terms. Also, the law does not consider charitable activity a reason to mitigate tax sanctions. The fact that the offense was committed unintentionally (through negligence) cannot be a circumstance mitigating liability, since the Tax Code deems both negligent and intentional commission of a tax offense equally guilty wrongful acts. The subject of circumstances mitigating liability is one of the basic themes for all cases related to taxpayers’ formal compliance with Russian tax laws (and cases over filing notices of participation in foreign entities and CFC notices are no exceptions here). Therefore, we are compelled to comment on this issue. At first glance, there is apparent logic in the tax authorities’ position (upheld by the courts) that there are no grounds to mitigate liability if the taxpayer voluntarily corrects its violations in performing the duty to file one or another reporting form with the tax authorities. However, this position seems entirely illogical from the practical perspective, namely, for the budget to cut tax administration costs. We occasionally encounter situations in practice where the taxpayer (whether an individual or a legal entity) for some reason didn’t file one or another reporting form with the tax authorities on time. The reasons may vary (some are valid, others not) but the outcome is the same: the taxpayer faces the choice of correcting the violation on its own (by filling out and filing the necessary form, albeit late) or leaving everything as is in the hope (which is often justified) that the violation won’t be noticed. Many would be prepared to follow the first path, but the prospect of bearing liability to the full extent in any event is a clear demotivating factor for them. Indeed, why spend time filling out and sending some forms if the negative consequences could be the same in any event? And these consequences are essentially guaranteed if one voluntarily files late documents. However, they might not notice if you try to keep a low profile. Such an approach can hardly be considered best from the perspective of effective tax administration. Even if we suppose, no matter how optimistic it sounds, that the Russian tax administration system will someday cover 100 percent of taxpayers, the paperwork associated with this (e.g., receiving and processing information, generating and sending the taxpayer notices of offenses and decisions imposing liability, considering appeals) will require considerable human resources and time. So why not cut these costs by simply encouraging taxpayers to correct formal violations on their own by reducing sanction amounts for voluntary taxpayer compliance? In no case should this mean eliminating liability for committing formal offenses (because some would take it as forgiveness for violating the law), but it seems entirely appropriate to reduce the amount of liability for voluntary compliance. Besides, there is no need to amend the legislation in order to do this: it is enough for the tax authorities to adjust their practice of applying the law. Positive results would not be long in coming. 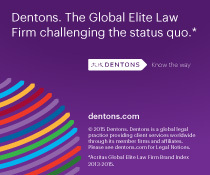 Dentons’ Tax practice would be happy to use its experience of applying CFC law to assist in identifying and analyzing tax risks of Russian entities and individuals meeting CFC law requirements. In particular, requirements to file notices of participation in foreign entities (of establishing foreign non-corporate structures) and CFC notices, and also representing taxpayers before the tax authorities and the courts on this issue. It should be noted that the amendments clarifying this issue were made to Article 25.14(2) of the Tax Code by Federal Law No. 424-FZ of November 27, 2018, which entered into effect on December 27,2018. We should note the court’s pointed lack of consistency in applying mitigating circumstances. In the Inspektorat R case it was precisely the fact that the offense (missing the deadline for filing the CFC notice) was unpremeditated and that the taxpayer corrected the offense on its own (by voluntarily filing the CFC notice) that served as the grounds for a four-time reduction in the amount of the fine stipulated by Article 129.6(1) of the Tax Code.